Saturday’s Lilly Diabetes 250 at Indianapolis Motor Speedway is the second-to-last race of the 2018 NASCAR Xfinity Series regular season. 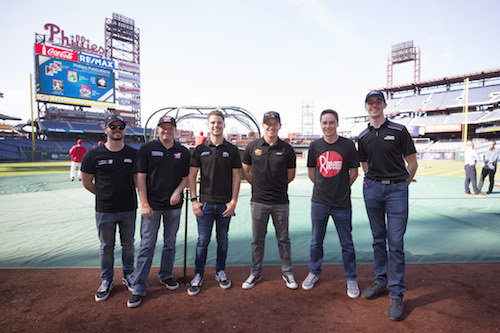 Heading into this weekend’s race, nine of the 12 slots in the seven-race playoffs have been clinched by Justin Allgaier, Elliott Sadler, Cole Custer, Christopher Bell, Daniel Hemric and Tyler Reddick. Ryan Reed, Austin Cindric and Ross Chastain are the three drivers in provisional playoff spots, with Michael Annett the first driver on the outside, 54 points behind Chastain. Cindric has a 60-point cushion on Annett, and Reed is 70 points ahead of Annett with two races remaining in the regular season. Reed and Cindric have the possibility of clinching their playoff berths Saturday, but they’re not in complete control of their own destinies, each would need help in the form of specific performances of some of their fellow-competitors to lock-up playoff berths a week early. Meanwhile, Allgaier has a chance of clinching the regular-season title a weekend early at Indianapolis. His JR Motorsports teammate and last year’s regular-season champ Sadler and Custer also are in the running for the honor. Sadler is second in the standings, 16 points behind Allgaier, and Custer is third, 17 points back. Allgaier would clinch the regular-season title at Indy if he has a 61-point advantage behind the driver second in the standings after the race. The regular-season champion will receive 15 bonus points to carry through the playoffs.